It was one of the city’s first suburbs, called Uniontown when it was developed in the 1850s. When Douglass relocated there in 1878, it was a whites-only, working-class enclave. He crossed the color barrier and moved into a prominent house on the hill overlooking the river and the Capitol building. He soon became an active and respected member of the community, although it would remain segregated for many years to come. 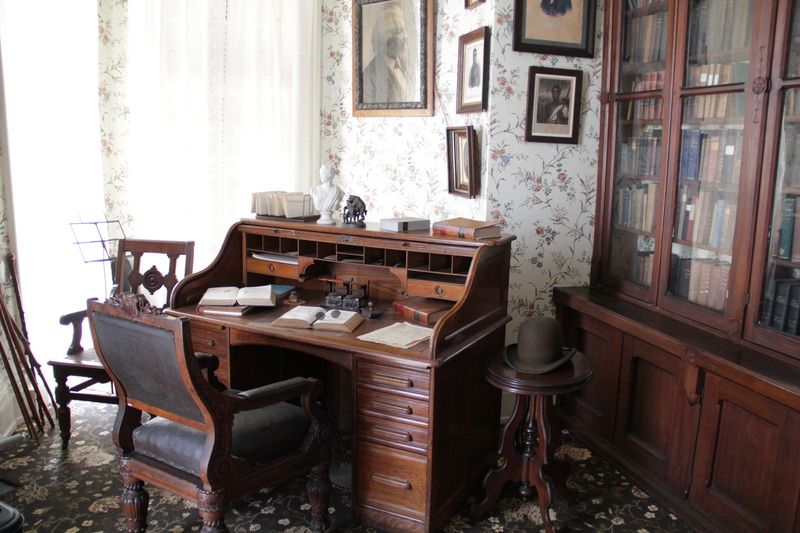 Today Douglass is still the neighborhood’s most famous resident, and his home is a historic site run by the National Park Service. 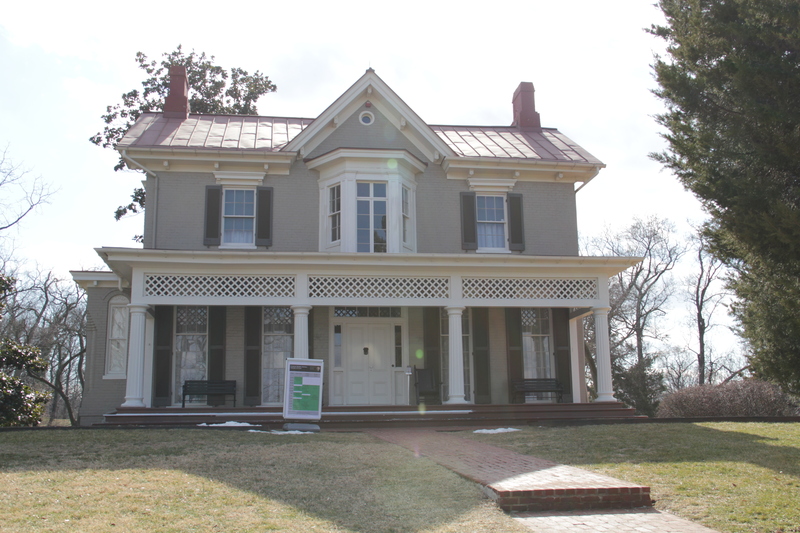 (His first home in the District, 316 A Street, NE, is also a museum.) The neighborhood itself is experiencing a small revival after decades of neglect and decline. Although Douglass officially commemorated his birthday on February 14th (born as a slave in Maryland, he had no record of the actual day), there were birthday celebrations at Cedar Hill on Saturday, February 12th, the same day as Lincoln’s birthday. autobiography (he wrote a total of three), Narrative of the Life of Frederick Douglass, an American Slave, made him perhaps the most famous African-American in the world, and a leading figure in the abolitionist movement. Another artifact on display was a walking cane of Abraham Lincoln’s, said to be a gift from Mary Todd Lincoln after her husband’s assassination, to commemorate the unique friendship between these two men. Douglass started out as a vocal critic of Lincoln and his slow pace toward ending slavery. He later came to support and respect the sixteenth president, particularly after the Emancipation Proclamation in 1863. Douglass actively recruited African-American troops to fight for the Union cause, and two of his own sons were some of the first to join the fight. They signed up with the 54th Massachusetts Volunteer Infantry, immortalized in the movie Glory. His son Lewis was even present at the battle of Fort Wagner, depicted in the final scenes of Glory. Frederick Douglass made a cameo appearance in the 1989 movie Glory. 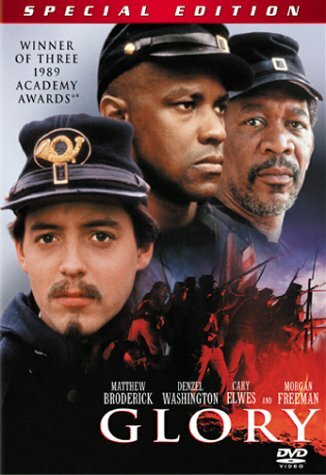 Interesting aside: The Shaw neighborhood in the District is named for the 54th Infantry’s commander, Colonel Robert Gould Shaw (Matthew Broderick plays Shaw in the movie, and Frederick Douglass even makes a brief appearance in the film). While Douglass didn’t live in the District during the same time period as Lincoln, he made three visits to Lincoln at the White House. The first was in July 1863, to urge Lincoln to provide equal pay, treatment, and protection to black troops in the Union Army. The second was in August 1864, when the president sought advice on how to get the word of emancipation to slaves in the South, in order to urge them to escape and fight for the Union. During that visit, the Governor of Connecticut, William A. Buckingham, arrived for a meeting with the president, and Lincoln put him off to continue their discussion. After wavering a bit, Douglass eventually threw his support to Lincoln during the election of 1864, and was at the inauguration at the Capitol in March 4, 1865. He tried to attend the inaugural party at the White House, and was stopped by policemen because African-Americans had been forbidden to enter the party. When word was brought to Lincoln that Douglass had been ejected from the White House, he ordered that Douglass be admitted and presented to him in the East Room. Douglass wrote that Lincoln was particularly eager to ask him what he thought about his inaugural speech delivered earlier that day. That speech is now carved into the north wall of the Lincoln Memorial. On the day after visiting Cedar Hill, I found myself at the memorial leading a tour. Lincoln would be killed at Ford’s Theatre just over a month after giving that speech, shot by Southern actor John Wilkes Booth. Booth was also present at Lincoln’s inauguration, hearing that same speech. In surviving photos, you can see him standing behind and above Lincoln – “an excellent chance…to kill the President on Inauguration Day,” he later said. Booth next heard Lincoln speak to a crowd outside the White House just two days after the end of the war, on April 11. Lincoln spoke about extending voting rights and citizenship to former slaves, something Frederick Douglass had spent his life fighting for. Booth declared, “That is the last speech he will ever give,” and shot Lincoln at Ford’s Theater three days later. Douglass was in Rochester, NY, when he heard the news of Lincoln’s assassination, and gave a stirring speech to those assembled to honor the slain president. He described Lincoln’s death as an “unspeakable calamity” to African-Americans. Not long after the assassination, the 13th, 14th, and 15th Amendments – known as the Reconstruction Amendments – were passed and became part of the Constitution. They respectively ended slavery, provided citizenship to former slaves, and protected their voting rights (well, only for men – this last Amendment became a point of contention between Douglass and his supporters in the women’s suffrage movement). Many Reconstruction policies would ultimately fail, and it would take another hundred years to guarantee civil rights and voting rights for African-Americans. 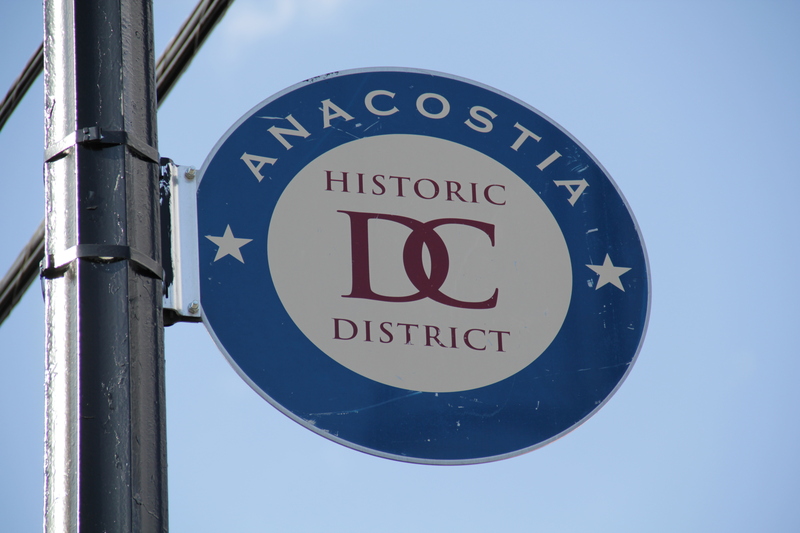 Meanwhile, Frederick Douglass became known as the Sage of Anacostia, and raised his family at Cedar Hill. He stayed active in politics and was appointed to several positions, including Minister to Haiti, the highest appointed position attained by an African-American in the 19th Century. On April 14, 1876 – 11 years after Lincoln’s murder – Douglass was the keynote speaker at the unveiling of one of the country’s first monuments to Lincoln. Fittingly, the Emancipation Memorial, also known as the Freedmen’s Memorial Monument, celebrated Lincoln’s ending of slavery (although the design of the statue remains controversial today). It was placed on one of the squares of L’Enfant’s original design for Washington, which Congress renamed Lincoln Square (today known as Lincoln Park). In his speech, Douglass took Lincoln to task for their disagreements over how and when to end slavery. 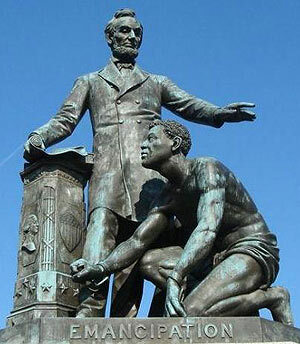 He also criticized the depiction of the kneeling slave in the statue’s design. But he also honored “the first martyr President of the United States” as the one person uniquely fitted to both abolish slavery and keep the country together. 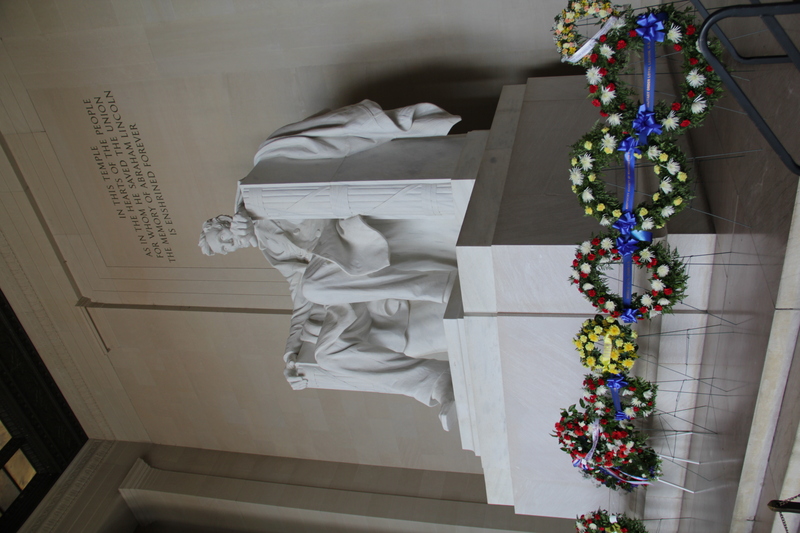 He spoke about hearing the news of the Emancipation Proclamation like a flash of lightning, so that he “forgot all delay, and forgot all tardiness” about Lincoln’s slow move to emancipation. And he quoted from Lincoln’s second inaugural address as proof of Lincoln’s hatred of slavery. He described Lincoln’s murder as “a pure act of malice,” a bloody crime against a president who had advocated charity to all. It’s fitting that these two District residents should share birthdays so close together, and a shared legacy of ending slavery throughout all their debates and eventual agreement.